CE-300 was specifically designed for our 6-1/2" crown. These inside corner elements were created to eliminate the inside cut. 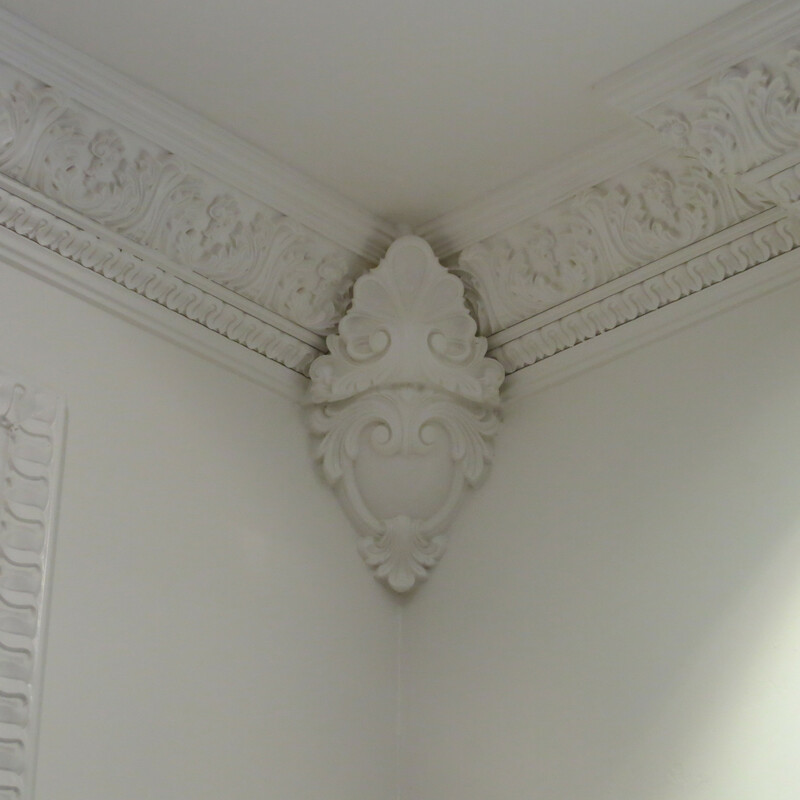 Not only do they simplify the installation but add incedibly unique detail to the project. CE-300 eliminates your inside crown corner cuts. 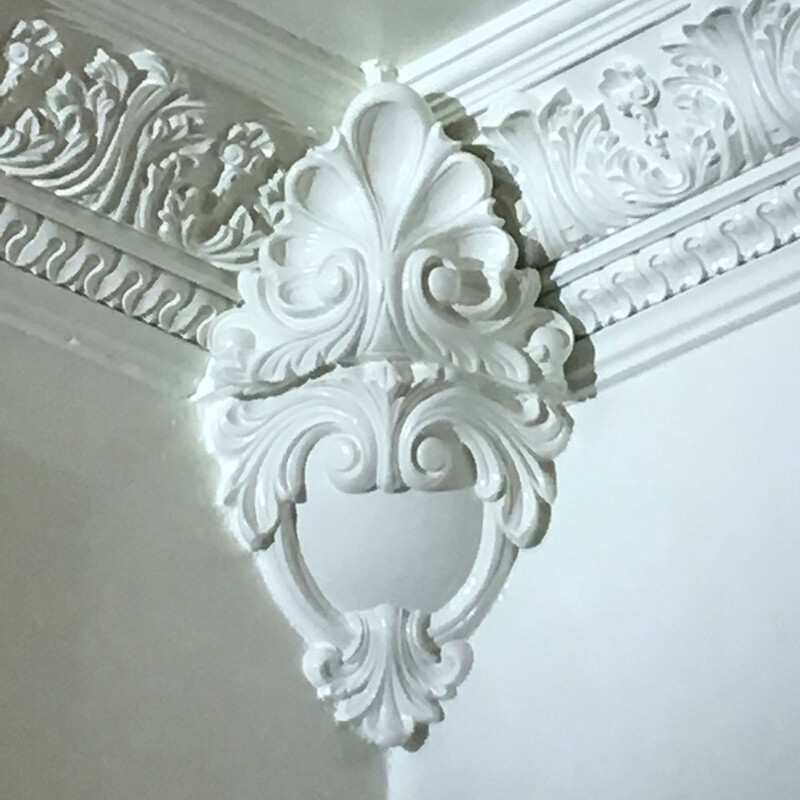 The shell and shield design adds a unique detail to your crown moulding. 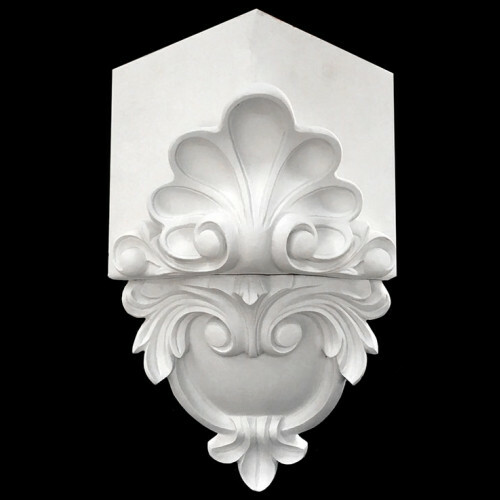 Designed for 6" to 6-1/2" wide crown moulding. Multiple Sizes Available. Corner elements were designed for many purposes ranging from cabinetry panels to large interior wall panels. Corner elements are typically used in conjunction with connection moldings. When used together they can create dramatic large and small panels with incredible design. Corner elements are also used in cabinet designs as decorative pieces. Pearlworks has hundreds of FREE design concept drawings for you to use on line. These concept drawings are broken down into sections ranging from wall panels to fireplace designs.